Finally, finally it's beginning to feel a little like fall around here. Thank goodness for a little relief. Fingers crossed that this weather will last a little while. As for my personal style, here lately I seem to stuck in a world of denim. 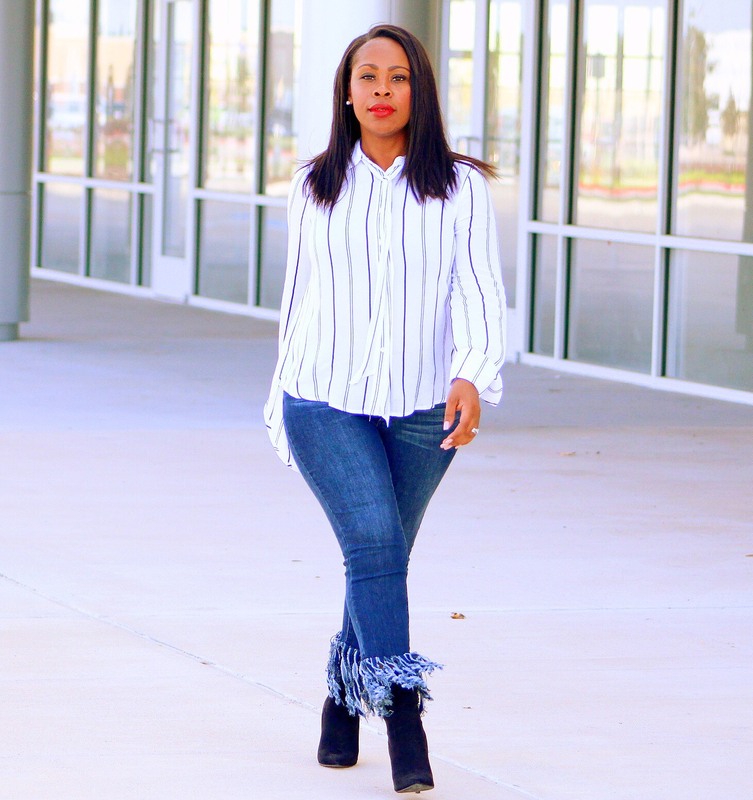 It's definitely time to get back into it with some fun looks aside from denim. Ya think? 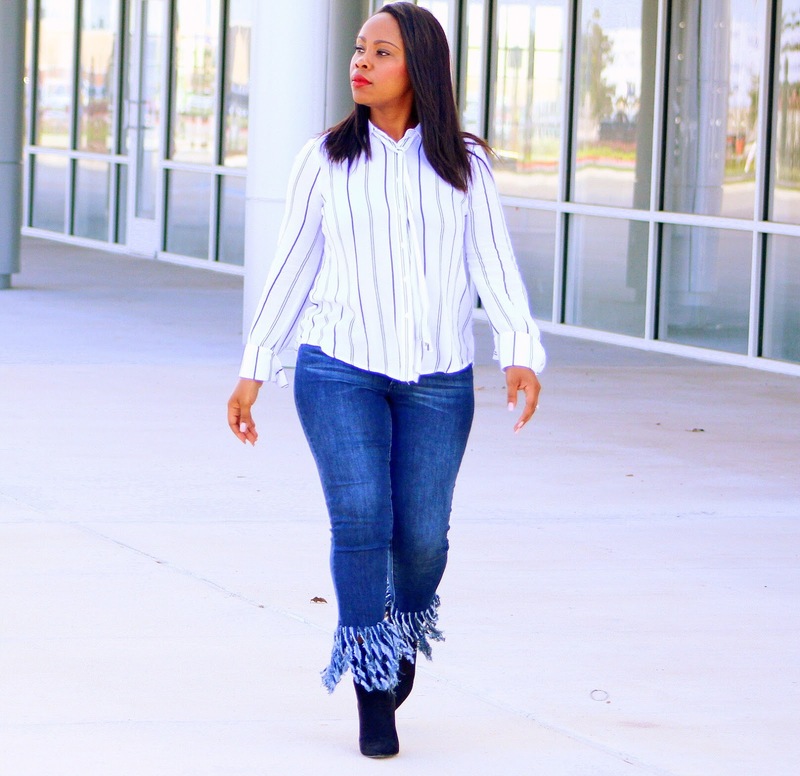 In the meantime, this pair of fringe denim is my jam right now! If you've followed my blog before than you know that I have my fringe moments indeed. 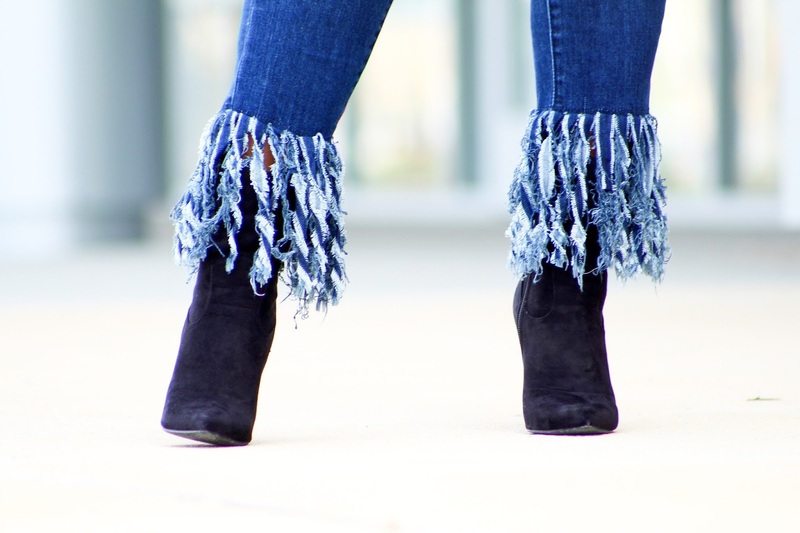 Yet I have never owned a pair of fringe denim. I can totally see these paired with a black turtle neck. Happy styling!